If you missed Josh Taylor’s class at RootsTech, it was amazing. I took 9 1/2 pages of notes, writing as furiously as I could. This quote was one of his little gems mixed in with great search strategies. You can see his entire presentation here. DISCLAIMER: Understand that I was not at Roots Tech this year as much as I would like to have gone. Maybe next year!?!? 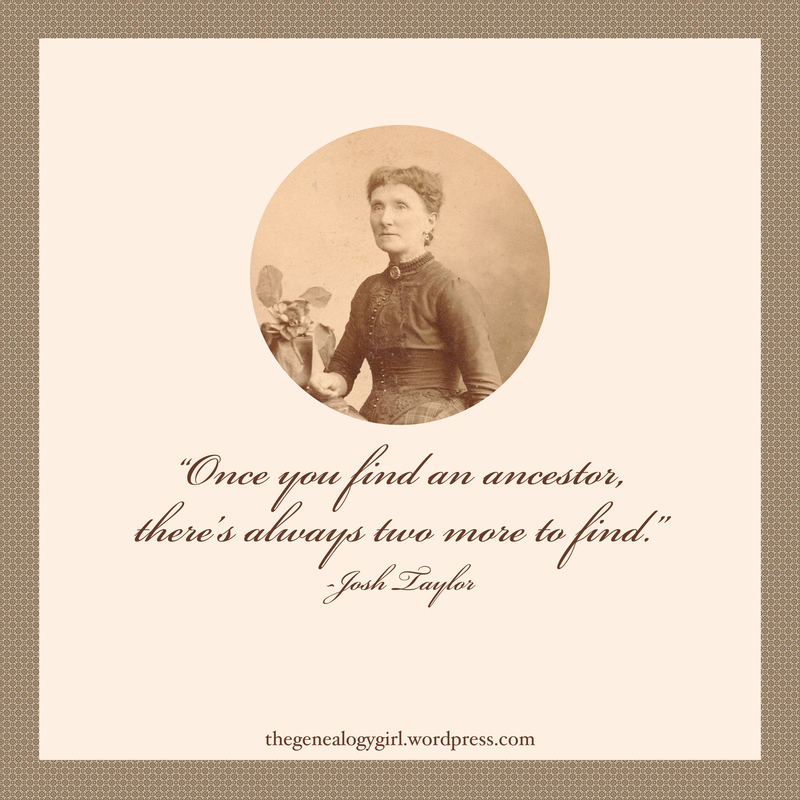 However, this is a reblog of a post by THEGENEALOGYGIRL, quoting Josh Taylor’s Roots Tech presentation. I thought it well worth spreading it around! Great quote. I’m always amazed how quickly the number of direct ancestors increases as the number of generations increases: 2 parents, 4 grandparents, 8 great-grandparents, 16 2X grandparents, 32 3X grandparents, 64 4X grandparents, and so on. I agree. Not to mention how each generation back brings such a large number of cousins!